Welcome to MyTestimonys Blog! Rev 12:11: Align! If you have ever seen a bucket that was not properly positioned under a tap, you will notice that the water drops on the floor and on the sides of the bucket; rather than filling it with water, the water that drops on the floor stains the bucket and sometimes it pushes the bucket to the floor. Ladies and gentlemen, alignment is important. Talent is good, hard work is important but you MUST be aligned with God to be truly successful. Oil flows down, it NEVER flows up, there is a chain of command that God has instructed you to honor if you will have lasting success. They are: 1. Honor and fear God 2. Your pastors 3. Your parents 4. Your boss (if you have any) 5. Your spouse 6. The government and society 7. Your friends If you do right by these seven people you wil have lasting success. 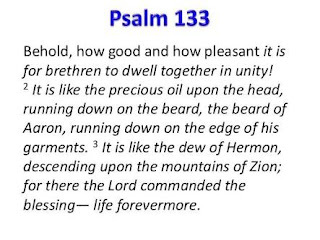 The bible says in Psalm 133:1-3 Behold, how good and pleasant it is when brothers dwell in unity!a 2It is like the precious oil on the head, running down on the beard, on the beard of Aaron, running down on the collar of his robes! 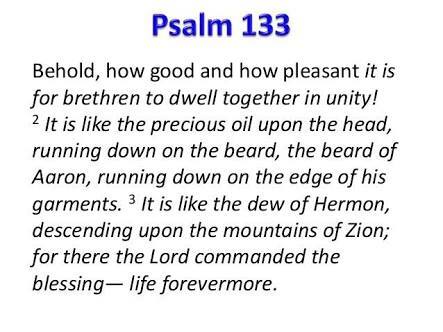 3It is like the dew of Hermon, which falls on the mountains of Zion! For there the LORD has commanded the blessing, life forevermore. Notice the word "THE" blessing in verse 3. There is a blessing that makes the difference and you need to go for it by ALIGNMENT! May God give us wisdom in Jesus name. You too can be a social media evangelist. Please share so that others can be blessed as you have been blessed.